The Honors College at the University of Maine-Orono is highly-respected among honors professionals, and one reason is that the college curriculum is a well-balanced blend of a liberal arts core curriculum augmented by a carefully coordinated department focus in the junior and senior years. Honors students in a tutorial also select a visiting scholar in ethics for the succeeding year, a process that requires students to analyze writings and other “evidence presented about the candidates, deliberate using those criteria, and correspond and negotiate with viable candidates to determine availability and suitability.” This exercise combines extensive research with a real-world decision-making problem. In the senior year, honors students must take an honors directed study course, which prepares them for their senior honors thesis. The directed study course and thesis count for three credit hours each. Honors graduation requires at least 27 credit hours in honors courses, and AP credits are not applied to honors credit. The university as a whole is increasing its focus on prestigious scholarship competition. In recent years, Maine students have won four Goldwater scholarships in the last six years along with four Udall awards, all of which are earned by undergraduates. Also in the last two years Maine students have won four National Science Foundation Graduate Research Grants. In 2012, a Maine student was awarded the school’s fourth Truman Scholarship. The best academic departments at Maine are earth sciences, social work, clinical psychology, education, and history. 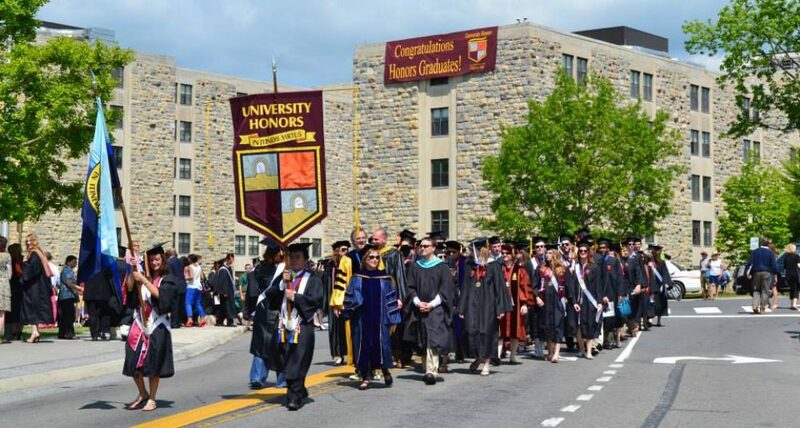 The college does not publish average admission statistics, but we estimate the the minimum SAT score for the honors college is around 1200 to 1250, with a high school graduate place in the top 10-12 percent. Again, this is only an estimate based on some comparable programs. Honors students benefit from program advisors who are former honors students at Maine, and also have the support of honors preceptors/instructors in many academic departments. About 120 freshmen honors students out of approximately 750 on campus choose to live in honors housing in Colvin and Balentine Halls. It may still be the case that a few honors students also live in Penobscot Hall. All honors residence halls have both freshmen and upperclassmen. This entry was posted in Honors News, Types of Honors Programs, Uncategorized and tagged Honors College University of Maine Orono, honors housing University of Maine, Maine Honors College by Honorsadmin. Bookmark the permalink.